Nothing is more stressful than going through a divorce, seeking custody of one’s children, navigating through the child support court system, establishing a parent’s legal rights to a child or protecting one’s grandchildren from parents who are not able to parent properly. Victims of domestic abuse need information to protect their families and themselves. The stress level grows thinking about going through the legal system without a family attorney advocating for you. Why hire an attorney? Can’t I represent myself? You actually do not need an attorney. Would you jump from an airplane without a parachute? Jessica Sterle, a Duluth attorney focusing on family law, is here to represent your interests, giving you high-quality representation and advocacy and allowing you to make informed decisions, which benefit your family and you. Jessica Sterle provides you with professional and respectful representation, reducing stress and anxiety. Whether you need legal advice or legal representation, Jessica Sterle is here in your time of need. Click here to contact Sterle Law for more information. Growing up in Nashwauk, Minnesota, she graduated from Nashwauk-Keewatin High School in 1990. After attending Hibbing Community College for two years, she continued her education at Hamline University in St. Paul, Minnesota graduating in 1994 with a Bachelor of Arts in Political Science. While attending Hamline University and before attending law school, she worked for the late Senator Paul Wellstone as an administrator of the Wellstone Alliance and later as a staff member of his 1996 re-election campaign team. In 1995, Jessica Sterle was accepted at William Mitchell College of Law and graduated in 1998 with her Juris Doctorate in law. Jessica Sterle has worked as a law clerk for the Honorable John T. Oswald with the Sixth Judicial District from 1999 to 2001 where she then took a position with the St. Louis County Attorney’s Office in Duluth from 2001 to 2003. 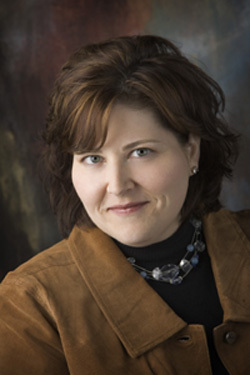 In 2003, she returned to the Nashwauk area working as a Staff Attorney for Legal Aid Service of Northeastern Minnesota in Grand Rapids representing clients in family law matters. Jessica Sterle opened her law practice in Duluth in 2006. Active in the Duluth and Minnesota legal communities, Jessica Sterle is a member of the Minnesota Bar Association, including the Family Law Section of the organization, as well as the 11th District Bar Association. She is past president of the 11th District Bar Association and Duluth New Lawyers. She is a volunteer attorney with the Volunteer Attorney Program. Jessica Sterle is a member of the Duluth Area Chamber of Commerce. Jessica Sterle is licensed to practice law in the State of Minnesota.